In recent years, there has beena trend to extend hemodialysis(HD) treatment time to 4hours or longer. Although longer dialysis time may benefit some patients, it may be associated with worse suffering in others. Some patients can experienceworsening muscle cramps,low blood pressure episodes, andfainting towards the end of, orimmediately after, a dialysis session.Reimbursement is likely the main reasonfor the trend toward longer HD sessions. The Center for Medicareand Medicaid Services (CMS) has stipulated a minimum dialysis doseadequacy, also known as Kt/V, of 1.2 (and major dialysis companieshave required a Kt/V >1.4 to ensure compliance). Kt/V is based onthe reduction of blood urea nitrogen during each dialysis treatment.This minimum Kt/V criterion is a core component of the QualityIncentive Plan (QIP), meaning that a dialysis clinic may lose a portionof its CMS reimbursement if the minimum dialysis dose requirementis not met. Hence, when a dialysis patient has a lower calculated Kt/V,the treatment time is often increased. CMS also has upcoming plans toimpose fiscal penalties related to dialysis treatment with fluid removal(ultrafiltration) greater than 13 mL/kg hourly unless the patient dialyzes4 hours or longer. Mostly women are affected by this because theygenerally have a lower body weight than men. Not only may smallwomen not benefit, they might suffer from 4-hour dialyzing sessions. In prescribing longer treatments, residual renal function (RRF) isoften ignored. Many incident and prevalent dialysis patients continueto make substantial amounts of urine even after they transition todialysis. A patient whose native kidney urea clearance is greater than3 mL/min may benefit more from incremental dialysis because thetime and frequency of treatment is gradually increased as the urineoutput decreases over time. I have recently suggested to dialysis practice stakeholders to discusswith CMS the pressing urgency to avoid mandatory HD times of 4hours or more for patients with so-called “low” dialysis adequacy orlow fluid removal rates. These recent practices ignore the fundamentalpatient-centeredness and precision medicine, i.e., personalized therapy,and pay little attention to dialysis patient voice. 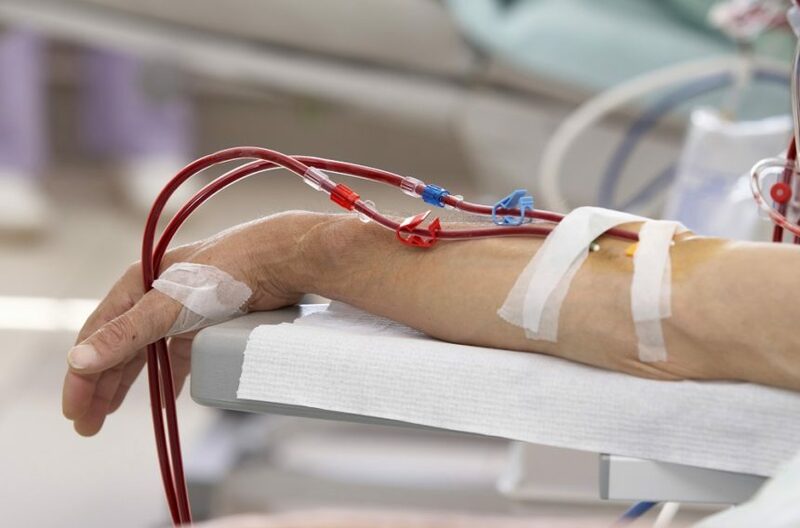 The rigid view that “longer dialysis is better” is being imposed onhundreds of thousands of dialysis patients with little consideration ofpatient-related factors and patient preferences. Many patients havesignificant RRF and do not need long dialysis sessions. Mandatoryprolonged dialysis times have led to major suffering for tens of thousandsof dialysis patients nationwide. The National Forum of ESRDNetworks detailed its concerns in a letter to CMS. The group deservesthe support of the entire nephrology community.